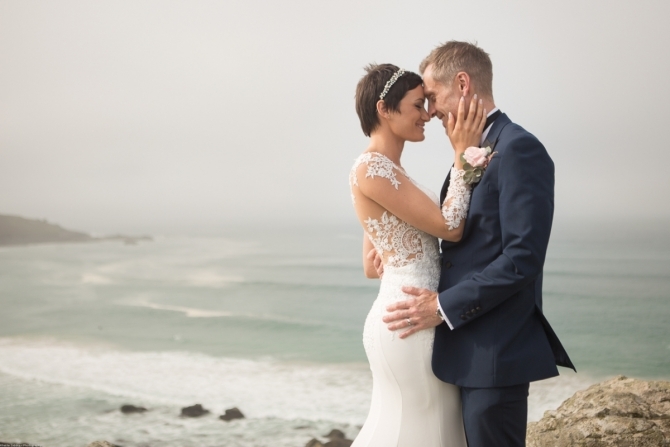 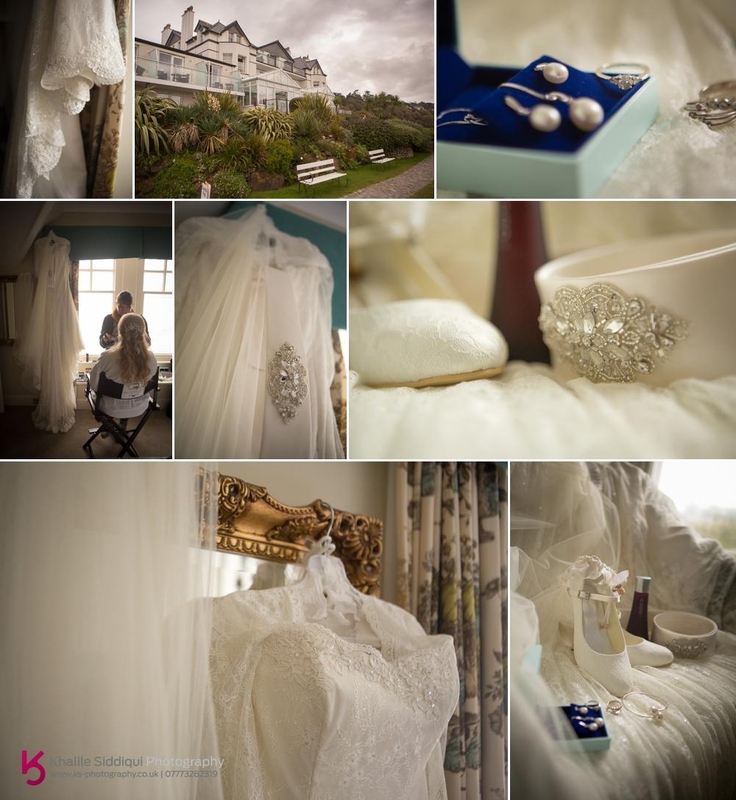 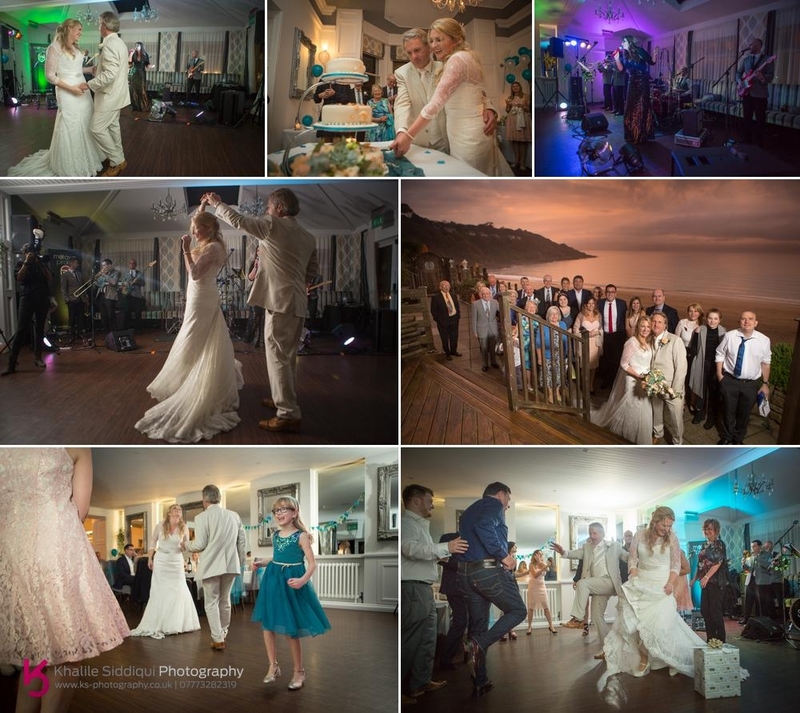 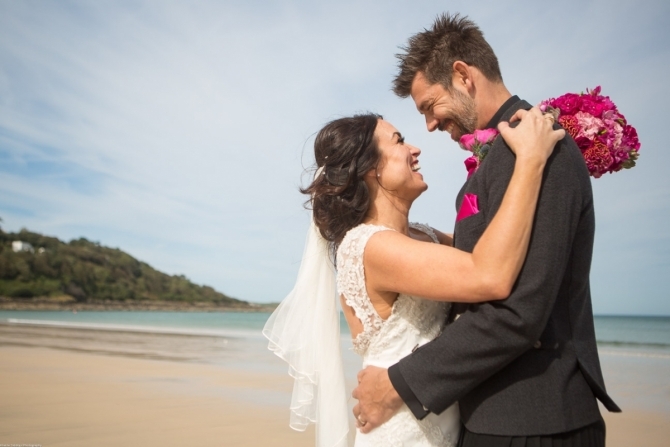 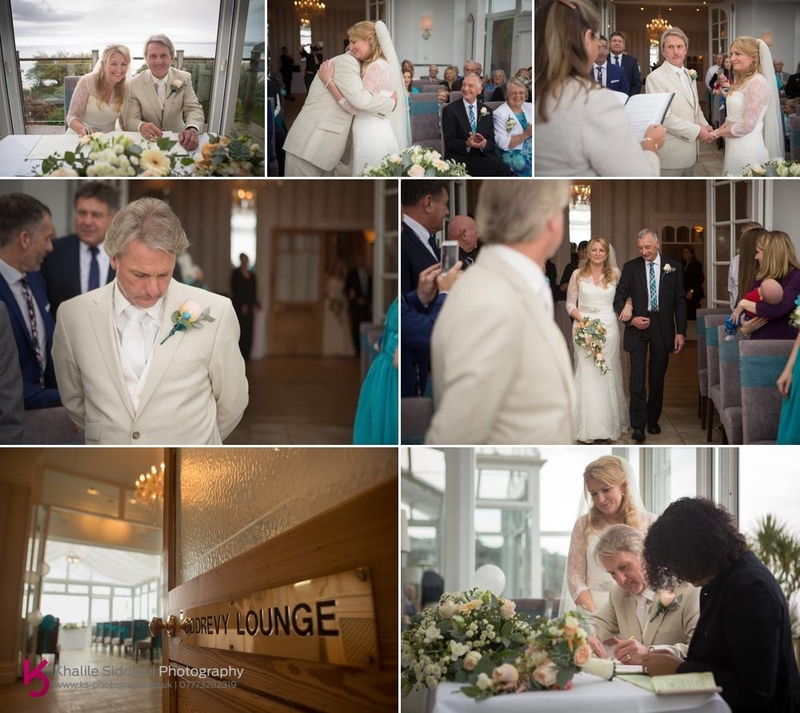 Philippa & Kev came to see us about their Carbis Bay Hotel wedding after receiving a recommendation for our photographic and Tamsyn's makeup and beauty services, and we're so glad that they did as spirits were high and everyone had a ball! 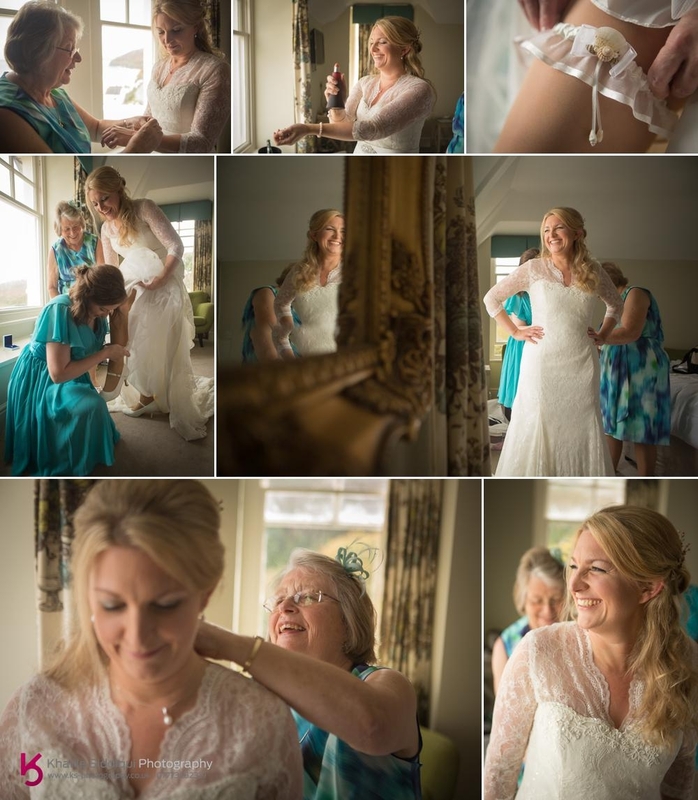 I dropped Tams off with Philippa and her sister to get on with the makeup while I headed to Kev and his two best men, Steve and Kev's son Ethan just up the road where they were staying in a local apartment. 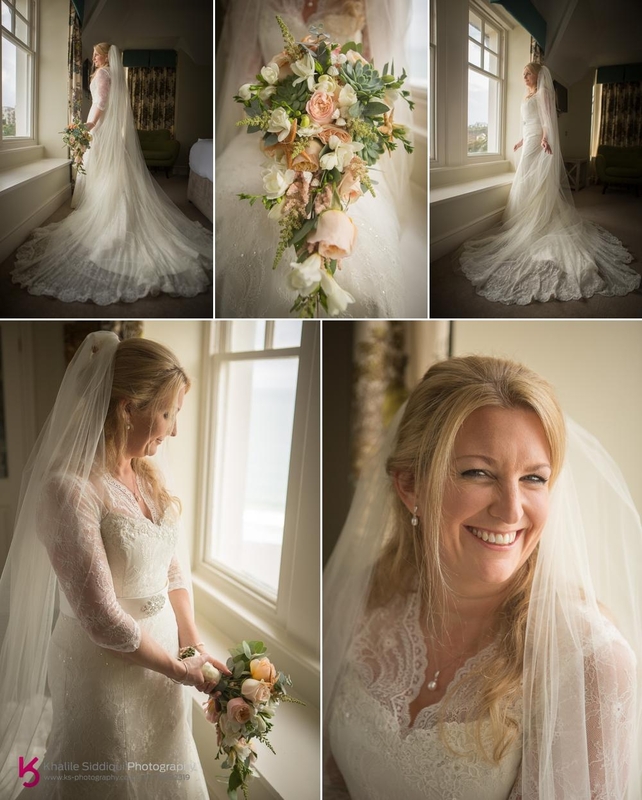 Philippa had her dress made for her by a local seamstress in Bath. 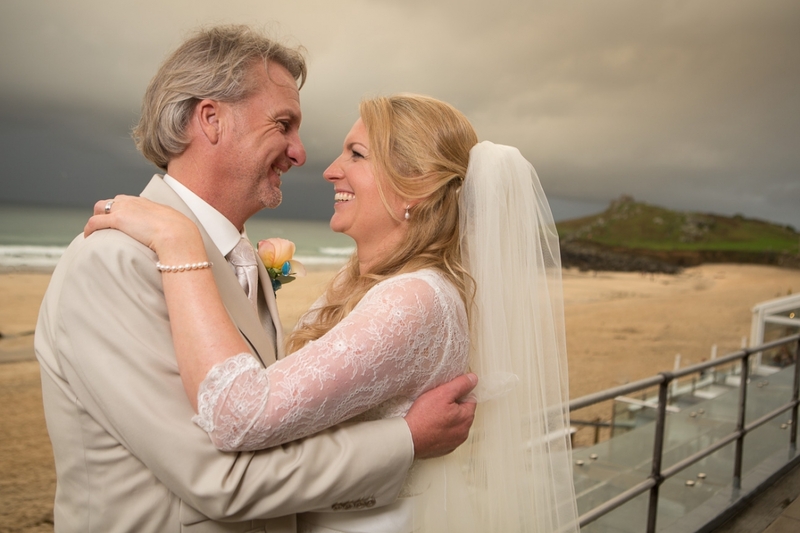 All her other suppliers were local such as the flowers by Wedding Flowers In Cornwall, and her hair by those lovely ladies at Diamond. 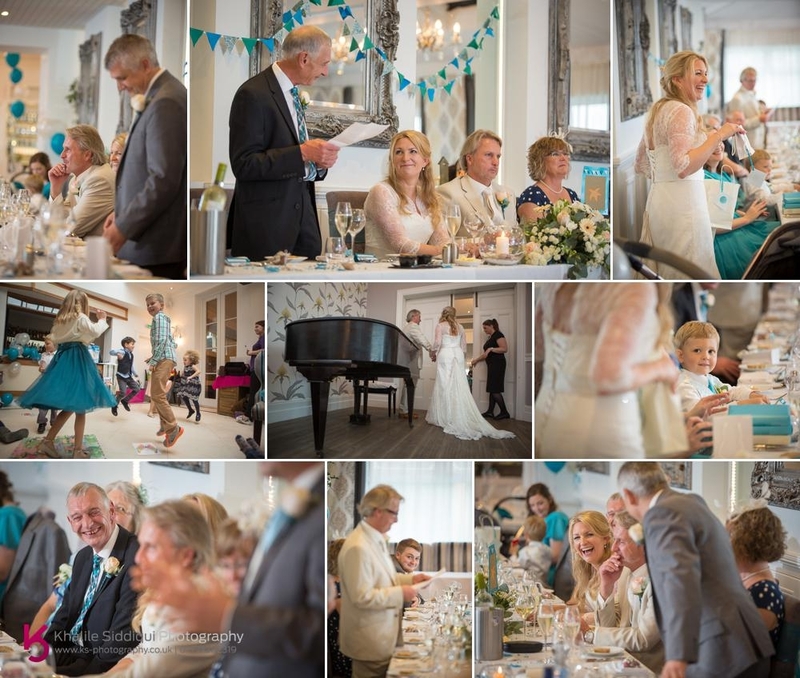 The ceremony took place in The Godrevey Room, a beautiful half conservatory (great for light) with the Godrevey Lighthouse as a backdrop in the distance. 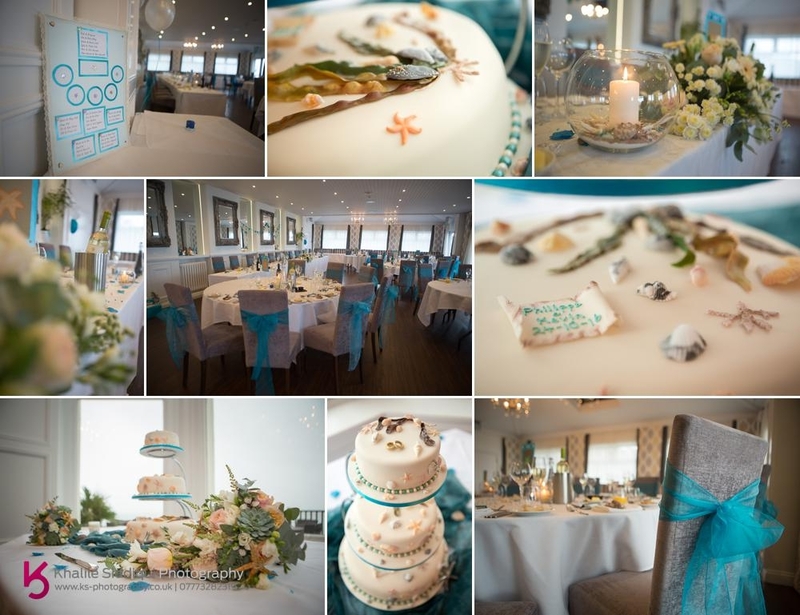 And then I popped into the wedding breakfast room to get some detail shots before all the guests headed in to sit. 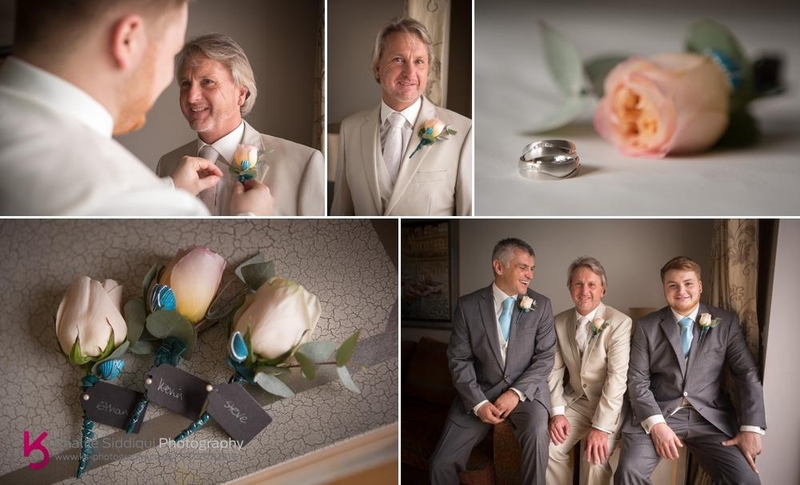 Kev and the gents decided to do the speeches before the food whilst Karla's Parties took the little one off to be entertained. 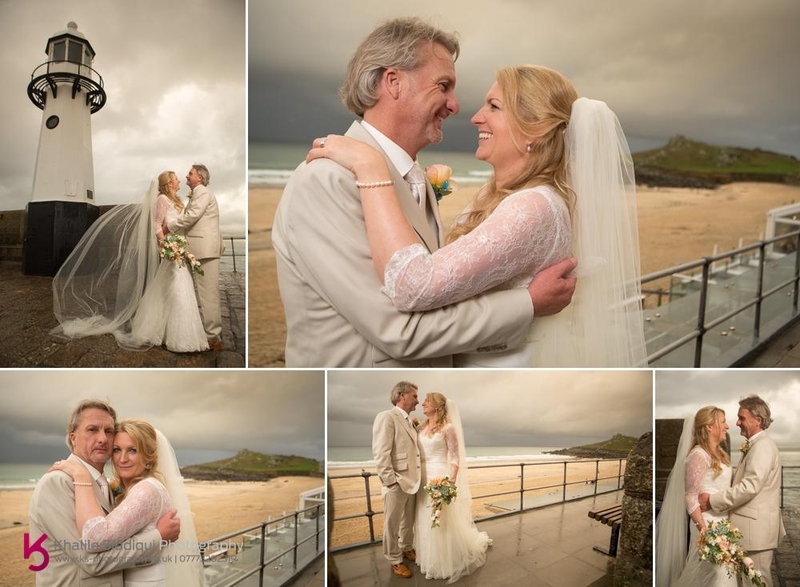 After the wedding breakfast there was a slight break in the downpour just long enough for us to head into St.Ives with Philippa & Kev for a few couple shots. 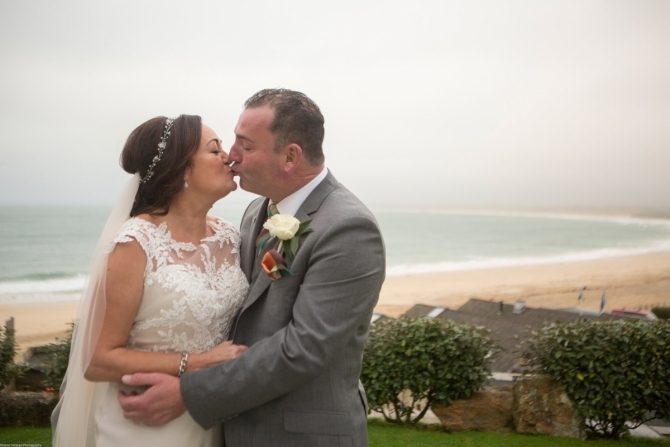 Kev was really keen for this as he has many childhood memories of the town, especially the lighthouse and the fisherman chapel on the top of The Island where his grandparents were frequent parishioners. 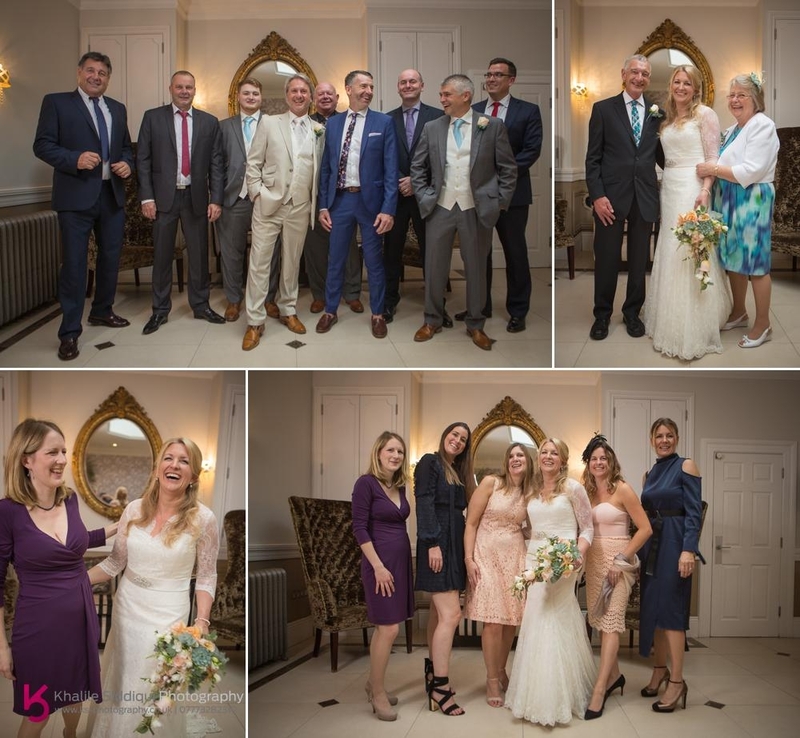 When we returned, and after Tams smoked Philippa's eyes up for the evening, we were joined by The Motown Pirates who Philippa and Kev booked for their evening entertainment. 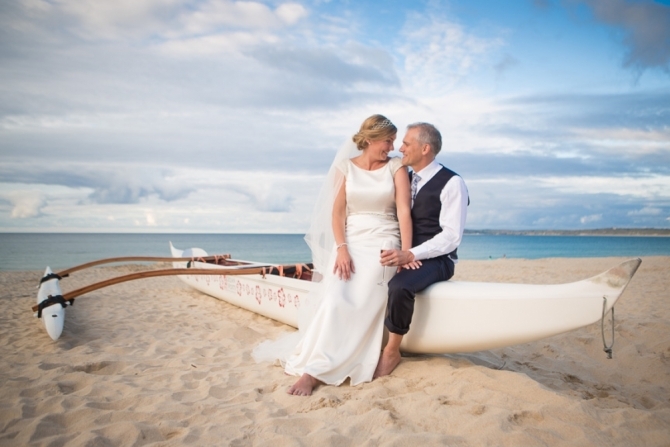 If you're planning your own wedding in Cornwall or further afield please do get in touch as we'd LOVE to be involved!